One of the nice things about being married in Israel is that it meant not having to pick one "best man" or one "maid of honor" from among your best friends. 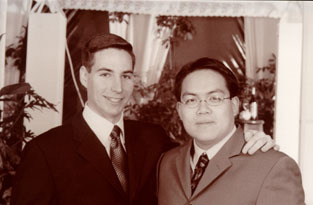 However, Peter was Aaron's only friend willing to make the trek to Israel for the wedding, so he was his unofficial best man (Above). 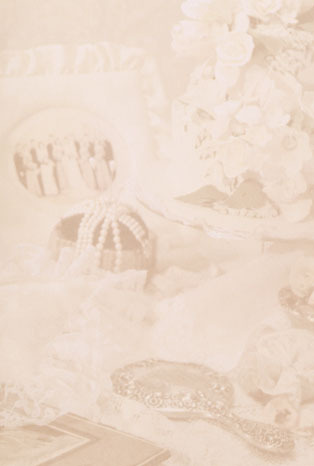 (Right) Irith and her unofficial maids of honor, (left to right) Gail Freedman, Alissa Hinckley, Irith, and Inbal Guy. 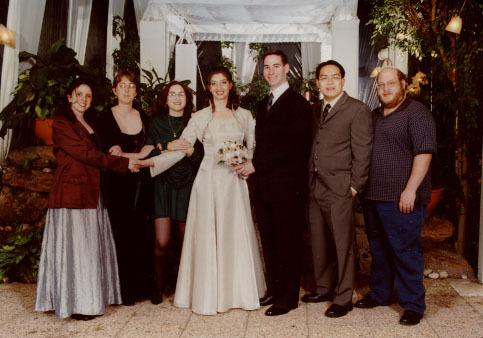 (Left to right) Inbal, Alissa, Gail, Irith, Aaron, Peter, and Avi Freedman, who was nice enough to be one of the witnesses on the Ketubah.